Spike Chunsoft has announced that Steins;Gate Elite will launch in North America on February 19, 2019 for PlayStation 4 and Switch. An exact release date has not been announced for the PC version. 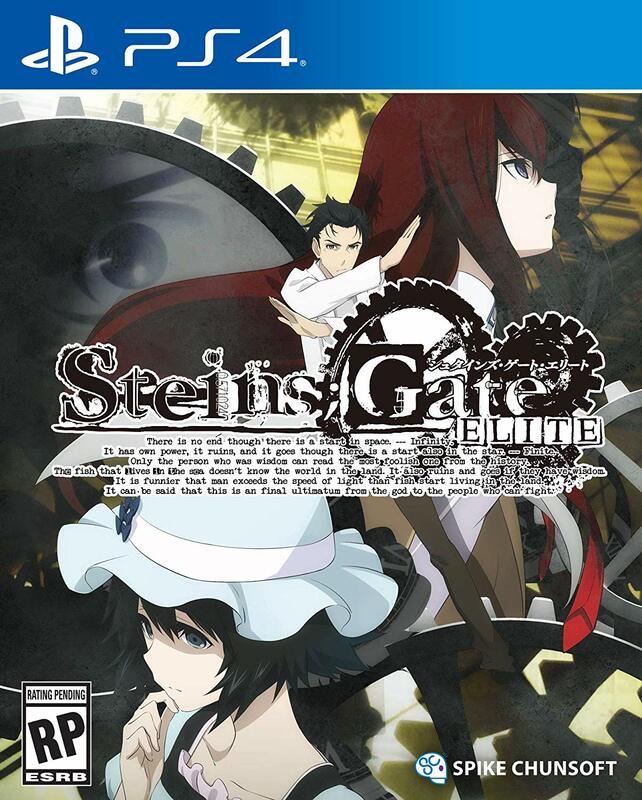 The PlayStation 4/Steam versions of the game will come with the Steins;Gate Linear Bounded Phenogram spin-off. The Switch version of the game will come with 8-bit ADV Steins;Gate. You can check out the trailers for these additions below. 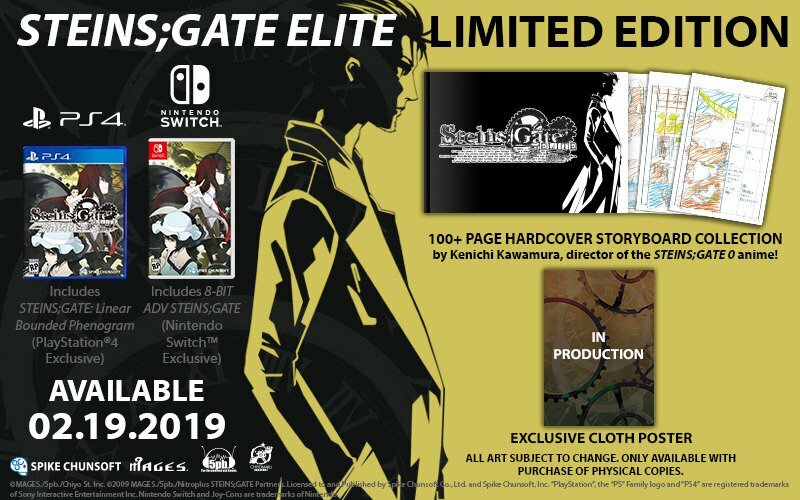 You can pre-order the Steins;Gate Elite Limited Editions for PlayStation 4 and Switch from Amazon at the links below. Please note, these links are affiliates that help fund the site. Steins;Gate Elite is set to launch in North America on February 19, 2019 for PlayStation 4 and Switch. An exact release date has not been announced for the PC version.